Ahmedabad, Pharma major Cadila Healthcare clarified that products from its Moraiya and Ahmedabad plants in Gujarat were safe in the market and effective. 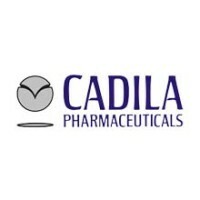 “We take quality and compliance issues seriously and standby our commitment to comply with CGMP quality standards across our plants,” the city-based Cadila said in a regulatory filing to the Bombay Stock Exchange (BSE). The company’s clarification came in response to a warning letter issued recently by the US Food and Drug Administration (FDA) on quality standards in its formulation facility at Moraiya on the city’s outskirts and API facility (Zyfine) here. “We hereby clarify that there are no products in the US market which use API (active pharmaceutical ingredients) of Zyfine facility,” the statement said. Committing to supply quality products to customers worldwide, the drug maker said it would respond to the watchdog’s warning and observations within the statutory time granted. “As we are committed to resolve all issues, we will continue to take steps to ensure the US regulator is satisfied with our remediation of the two units under watch,” the filing added. The regulator’s warning, however, impacted the market sentiment and the company’s blue chip scrip plunged 15.7 percent from Rs.324.65 per share on the BSE in the pre-noon trading session. Opening at Rs.385.15 per share of Re.1 face value at the same price it closed on Wednesday, the scrip recovered to end at Rs.327.80 per share, a decline of 57.35 points or 14.89 percent. Cadila is the second drug firm after Sun Pharmaceuticals received such a stern warning from FDA, charging it with irregularities, including quality and non-compliance on drugs made at its Halol facility, also in Gujarat.